After originally announcing a release of Firewatch for the Switch back in April, Campo Santo surprised fans on Friday confirming that the newest version of the game will actually be releasing this month. With it will be some nice new improvements which will allow the game to run better, load more quickly, and be more responsive than ever before. Campo Santo has also hinted that there may be some exclusive content included as well. For those who already own a copy of the game on the PS4, PC, or XB1, these changes (minus the exclusive content) will be making their way to those systems as well. (We just don’t know exactly when yet). Firewatch will release digitally on the Nintendo eShop, December 17th, for the Americas, Japan, Europe, and Australia. 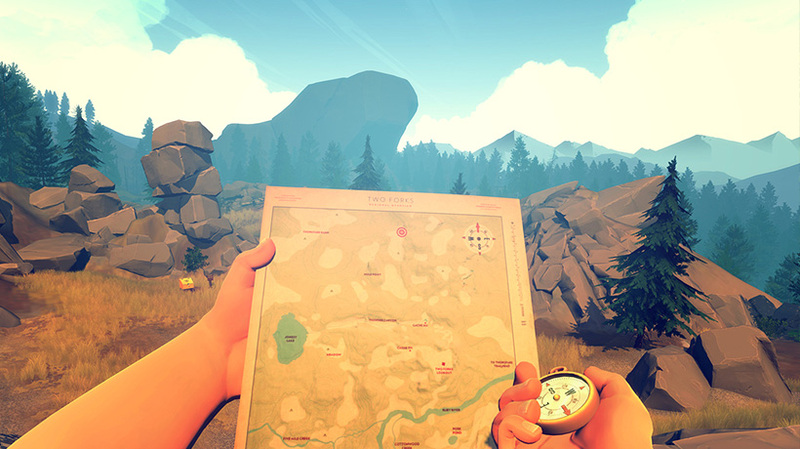 You can read more about the game and see why we scored it an 8.5/10 in our Firewatch Review. Campo Santo is currently working on their next title, In the Valley of the Gods. You can see a brief trailer for it on the developer’s website.